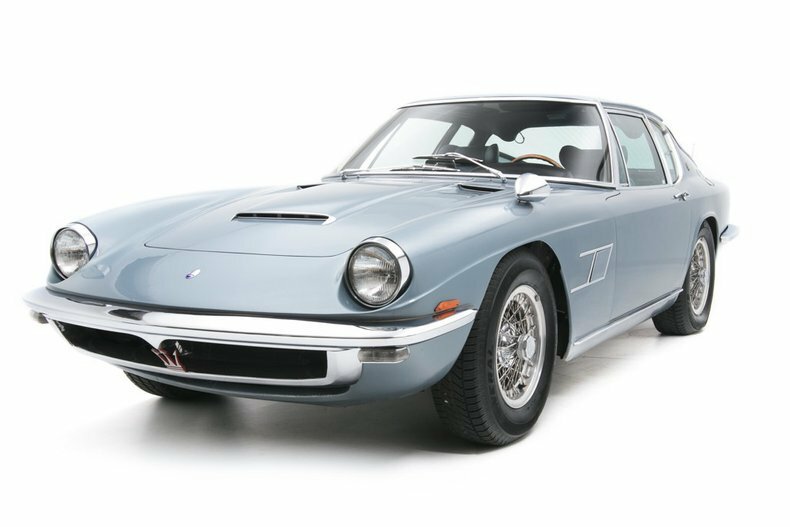 The beautiful Maserati Mistral was styled by Pietro Frua and bodied in aluminum by Maggiora of Turin, Italy. 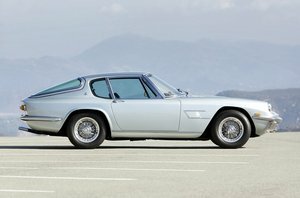 Frua's insight brought Maserati into the future as it was a major departure from the styling of previous Maseratis and was one of the very first automobiles to feature a hatchback rear end. - Power for the Mistral coupe came from either a 3.7 liter or a 4.0 liter version of Maserati's twin spark, twin cam straight six cylinder engine. 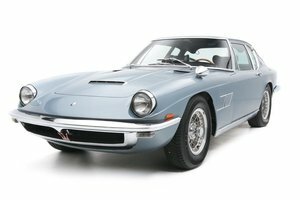 The Mistral was the last Maserati to use the classic six cylinder engine which was nearly as important to Maserati as the Colombo V12 engine was to Ferrari. - Our car is the most desirable 4 liter version of the Mistral and features a rare air conditioning option. - The car came to us from Arizona where the title shows it was first registered in 1966. - An inspection shows the ideal southwest climate has been gentle on the car. 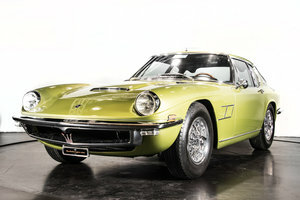 - It has received some sympathetic cosmetic refurbishing with the majority of the car showing remarkable originality. - A period correct cassette stereo is fitted in the dash and the Borrani wire wheels are in very good condition. - The car comes with original jack kit and tools, service manuals, and parts book. Mistrals were known for excellent panel fit and ours doesn't disappoint. -The hood, hatch and doors close well and fit flush. - It is clean throughout and shows that it was never rundown. - Just over 800 Mistral coupes were built. 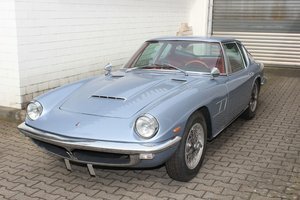 - This is a top example of a classic Maserati that we think will be even more appreciated in the future. Trades welcome... Financing available... Worldwide shipping accommodated.